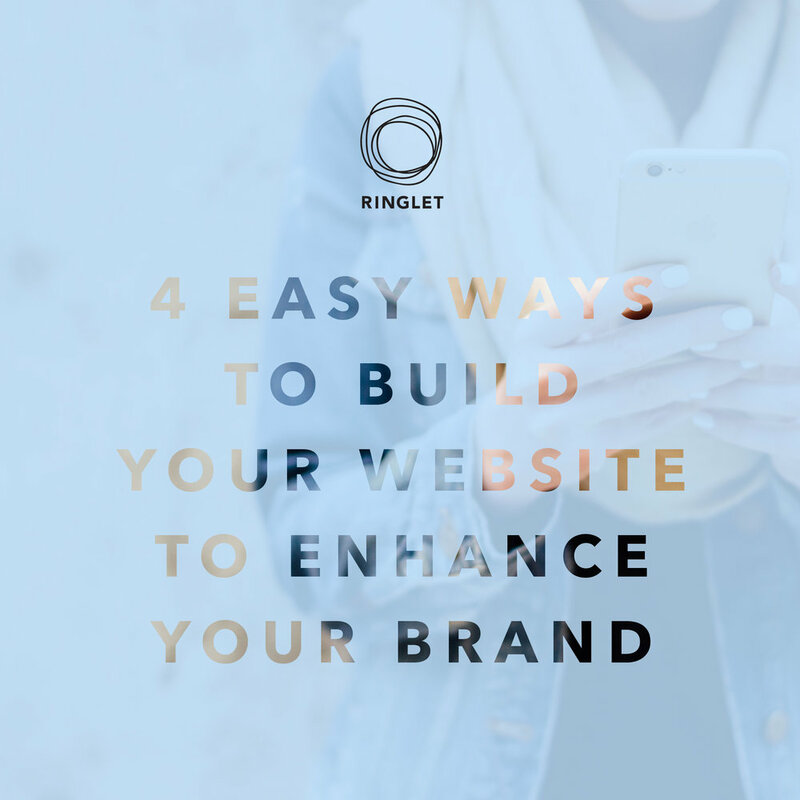 Figuring out what it looks like to have a successful online presence is no easy task, but we’re here to tell you it can be done, and we’ve got some simple but important tips to help you figure it out. Your brand is about who you are and the perception that others have of your business. And the great news is, you get to craft that perception on your website in a way that you never will be able to on Facebook or Instagram because YOU control the experience. Our aim here is to help you make the most of your website to clarify and magnify your brand in the eyes of your visitors. A solid brand first selects an ideal client, then resonates with them. But it also just as powerfully sends others away. Your business can have the ability to serve lots of different people, but the reality is that you can’t specialize in everything, and specialism will help you build a stronger brand. Choose a specialty and then make sure visitors to your website fully experience what it is that makes you special. You will be perceived as more of an expert and have more potential for being memorable and valuable. “You’re special just the way you are,” and as we often discover, many of the things we tell children are the things we still need to hear as adults. If you’re trying to be someone you’re not, you are going to struggle, and sustaining an image that is not your own is next to impossible. Knowing and owning your strengths (and even your weaknesses) is crucial to your ability to thrive in your brand. Figure out what your unique qualities are and then make sure your website has expressions of this. Craft an “About” section that reflects your personality and style and most importantly includes photos or videos of you and your team. If you enjoy writing, then tell a story that draws people in. If you’re a charismatic communicator, then make sure you’ve got some video of yourself that displays your passion. Be sure that visitors to your site really see you — through photos, video, your writing, and your style. To do business with you, your potential clients need to trust you, and to trust you they have to know you. The big successful brands of our time can be recognized by some of the simplest visual elements. This is due in part to their consistent use of a brand standard for colors, fonts, layout and logos, which are often documented in a detailed style guide. While a full guide may be a bit much for most small businesses, it’s worth creating at least a one-page document with a list of 5-8 colors, 2-3 fonts, and logo layouts. Use this as your go-to reference for your brand visuals. Work hard to stay consistent as you tweak and fine-tune them over time. In a website builder like Showit, you can set your font styles and colors in the Design Panel. Then as you build or update your design, your brand elements will stay consistent throughout your site. While visual consistency is important, so is staying current. Just as we grow as individuals, our businesses (and therefore our websites) ought to grow too. Sometimes that will be seen in small changes and updates, and sometimes it will be seen in a full brand refresh. Each of these iterations should reveal a fresh look that remains true to the core of your company and brand vision. For example, HoneyBook’s new look is focused more than ever on their brand promise to keep their members at the center of everything they do. This is reflected through their website in the way they showcase their members throughout their homepage. How will you do this on your site and engage your visitors with who you are? Your website is extremely valuable in this digital world to express your virtual storefront and strengthen your brand. We hope you use these tips to brand your business like nobody’s business! Sign up with your email address to receive our weekly Ringlet, news, freebies, lady boss interview, marketing tips + tricks, and so much more!! We never spam ya' promise!